New Year ´s Eve Countdown ! ESL forum > Games, activities and teaching ideas > New Year ´s Eve Countdown ! 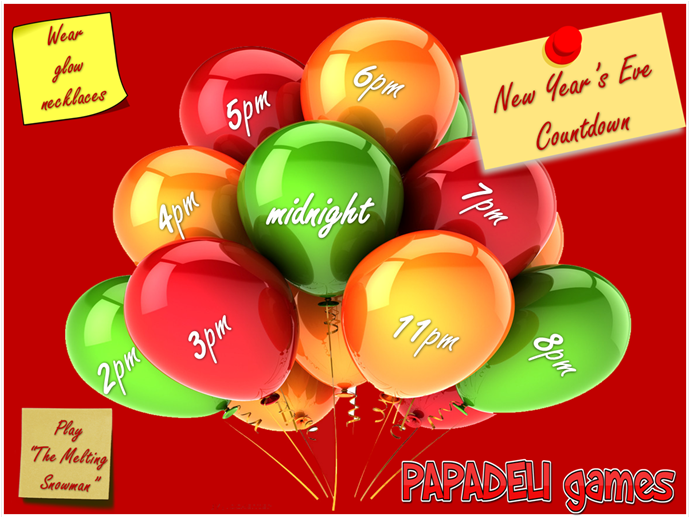 Put a note inside each balloon and do what it says at that hour…wear glow necklaces, play a game, eat candy, watch a movie, have some noise makers and poppers in the midnight balloon… Have a Happy New Year!